Here are some websites belonging to members, supporters, and friends of the Celtic Arts Center. Check 'em out! Rowing a traditional Irish currach (coracle) across the Atlantic Ocean from North America back to the west of Ireland to draw attention to and reinvigorate the learning and use of the Irish language. 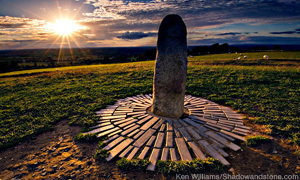 Help save the Hill of Tara and Gabhra Valley! Let's stop the myopic plan to turn this culturally important and historic site into the M3 motorway! Full of Irish music, language, and other Celtic links. the music of Susan Craig Winsberg. Celtic jewelry, gifts, and treasures galore! that offers Pan-Celtic classes, lectures and cultural events. A volunteer organization that organizes Celtic concerts and is nominally connected to UW-Madison. The "Von Trapp Family of Celtic Music"
The Cleary School of Irish dance, Cleary Irish Dance Company (CIDC) and the non-profit arm, St. Ambrose Irish Dance Association, Inc.
resource for Irish language students. One-on-one instruction customized to meet your needs ranging from beginner to advanced. Non-profit corporation promoting and teaching the Irish language since 1981. A "hedge school" for training in the modern path of Druidism. A dance troupe that travels throughout California performing at many events. A rousing, Irish pub band. It's not just cool, its Finn MacCool! Spiritual Tarot & Other Services. Our Illinois cousins in north Chicago. grand theatre/auditorium, and a Pub! at the Fairplex in Pomona. Huge selection of Irish music, books, jewelry, food & drink, home decor, apparel, and more. online, or now in San Diego, CA! "Rince Boghas Gaelach" - Classes, exhibition dancing, and events. A beautiful and versatile musician who bridges the gap between traditional & contemporary Celtic music with her fiddle and whistle! Tour Ireland with Ken O’Malley! of Ireland, Scotland, Wales, and Britain. A Welsh folk dance band from Cardiff, Wales - UK. in the heart of the NoHo Art District and a former meeting location for the Center back in the '90s. Check out their classes and events. Irish Products in the San Fernando Valley. Upbeat and energetic Irish and Celtic ensemble from Orange Co.
A Celtic band that met at the Celtic Arts Center and now performs rollicking traditional pub tunes and a capella working songs. 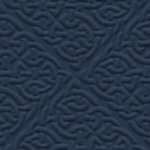 A site with information about slow-play seisiúns and resources on learning the music. A Celtic group from Southern California that plays up-beat, foot-stomping Irish music. that blends Celtic, Norse, and rock music. A non-profit organization seeking to stimulate interest and encourage participation in Scottish culture and social events. Welsh language classes, special events, and more in Arizona. Scottish bagpipe & drums in your ears. Mor	is dance in Southern California.